Buy 4 and get one free! Just message me the 5th decal that you would like. This goes for any of my decal pages (listed below). Sizes are below. 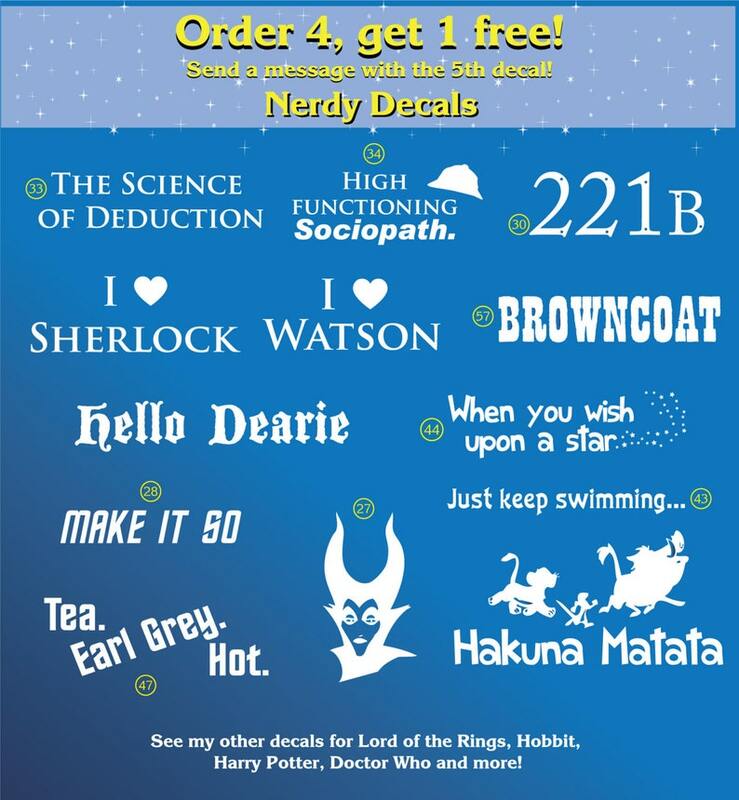 The ever growing decal page including Sherlock, Disney, Star Trek and other fandom inspirations! Keep checking back for added decals. 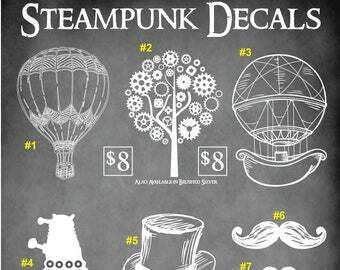 Please check out our other decal pages as well (links below!) Bring your fandoms with you on your vehicle, vehicle windows, filing cabinets, laptops, electronic cases, walls and essentially any flat surface! I use high grade white vinyl (other colors available for a small fee) and will withstand the elements. I also love custom orders, just send me a message! #47 Tea Earl Grey Hot 2.6"H x 7.4"
Clean the area thoroughly. Place the decal face up on the surface. Place a piece of masking tape on the top edge to hold it in place. Peel off solid white backing so that just the vinyl and the transfer tape are left. Use a credit card or squeegee to run across the decal to flatten it on your window or other surface. Remove front transfer paper very carefully.